“I love the industry. It was serendipity when I met the Saatchi brothers in 1975. Over the years since then that we’ve operated in the industry, I’ve found it an extremely attractive industry to continue a career in," he said. 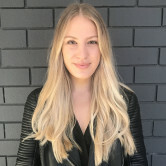 The conference comes just over one month after news that WPP’s board of directors was investigating allegations of “personal misconduct” by Sorrell shook the global ad industry. Less than two weeks later, he abruptly stepped down after 33 years at the helm of the world’s largest holding company. Sorrell described his exit as being “extracted” from WPP in a conversation with Techonomy CEO David Kirkpatrick, adding that his departure has given him clarity of which parts of the industry are growing and adapting. He also revealed WPP did not impose a “non-compete” condition for Sorrell, making it clear he wasn't disappearing from the industry. When pressed, Sorrell refused to reveal more about his future plans. 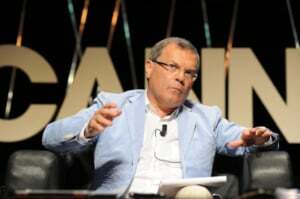 Sorrell said he will “start again”, vowing to not retire from the advertising industry despite his resignation from WPP. Speaking at the Techonomy event in New York yesterday, the former WPP CEO said he’s not going into voluntary or involuntary retirement. What does Sorrell's exit mean for the future of JWT and Grey?